Refreshing and sweet, this salad is nutritious enough for breakfast and tasty enough for an afternoon snack. 97 calories per serving. Substitute melons and fruit as needed for the season. STIR together the lime peel, juice, honey, and mint in a large bowl until combined. 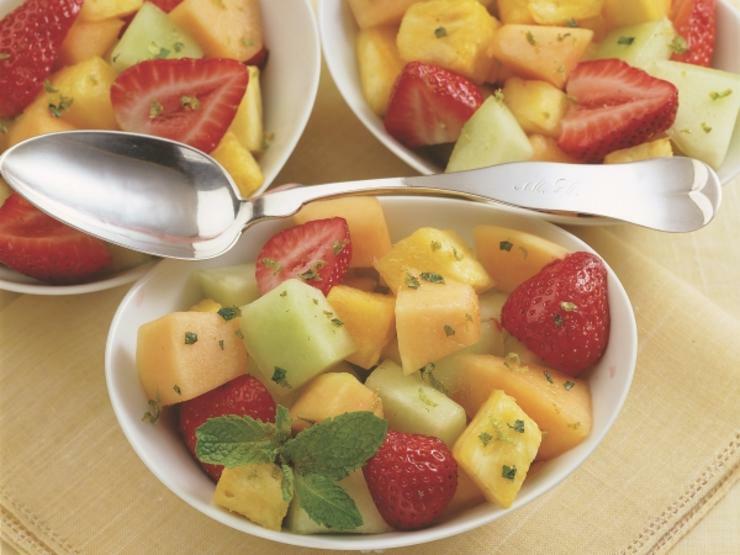 Add the honeydew, cantaloupe, strawberries, and pineapple or mango. Toss to combine.